It was slightly overcast as we checked out of the Trentham Travelodge which had been an excellent base for touring The Potteries. We drove into nearby Hanley for breakfast which we enjoyed in the Reginald Mitchell pub named after the inventor of the Spitfire. 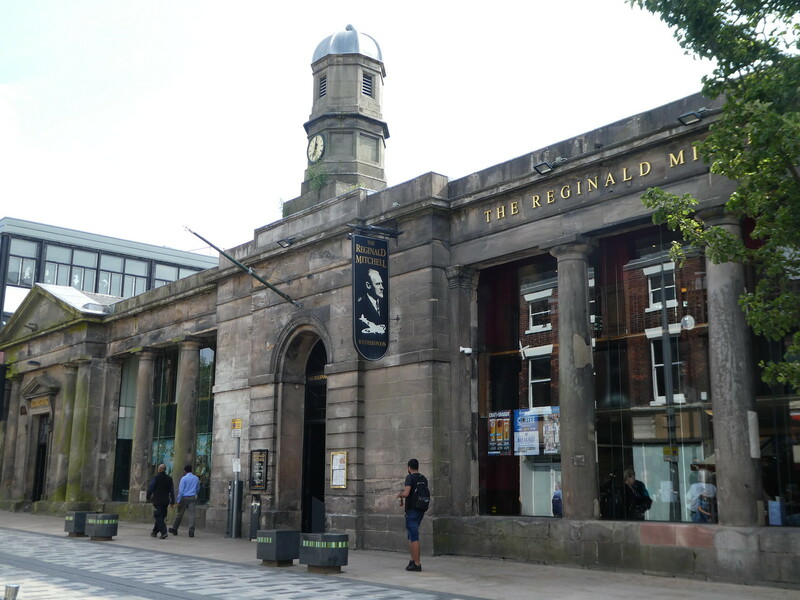 The building was once a meat market and its glass roof can still be seen in the pub today. Feeling energised after our bacon rolls and cappuccinos we returned to the car and fifteen minutes later arrived in Burslem to visit Middleport Pottery in good time for the 11.00 a.m. factory tour. 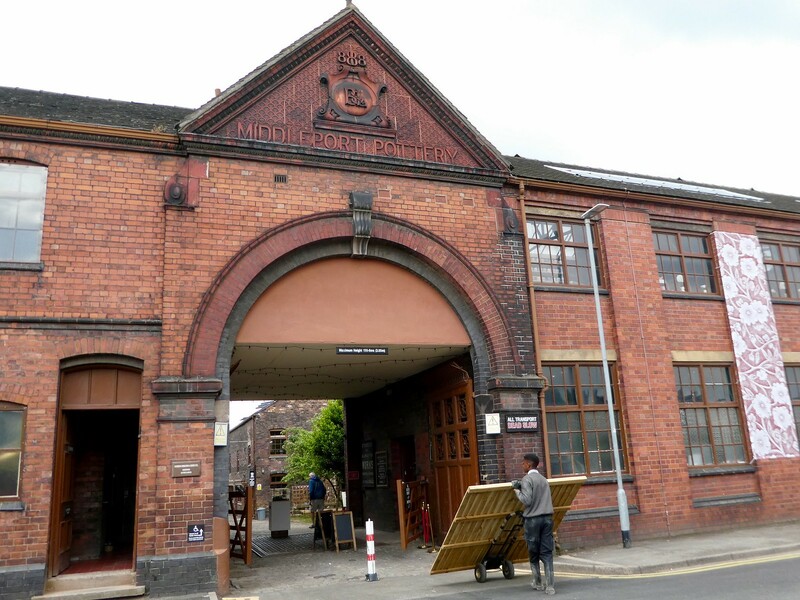 We collected our tickets from the visitor centre (adult tickets £9.50) including entrance to the heritage areas of this wonderfully preserved Victorian factory. The factory was at risk of closure in 2012 due to the poor state of the buildings but later that year the Prince’s Regeneration Trust stepped in to buy and restore the site with a £9 million project to regenerate and revitalise it. The trust specialises in the restoration of heritage buildings at risk of decay or demolition. 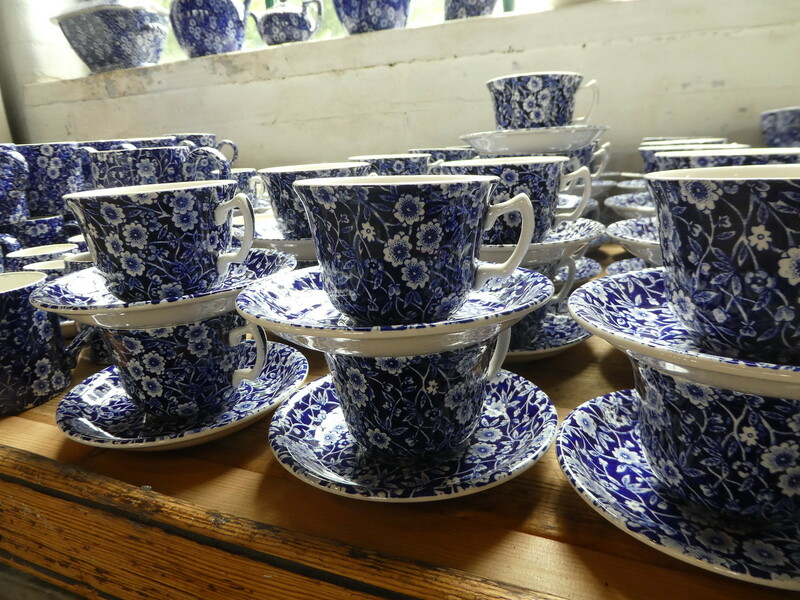 Around half of the site is leased back to Middleport Pottery who have increased production and improved working conditions. Tour guides at Middleport are all volunteers and Jan who took our group around the factory was professional, enthusiastic and informative. 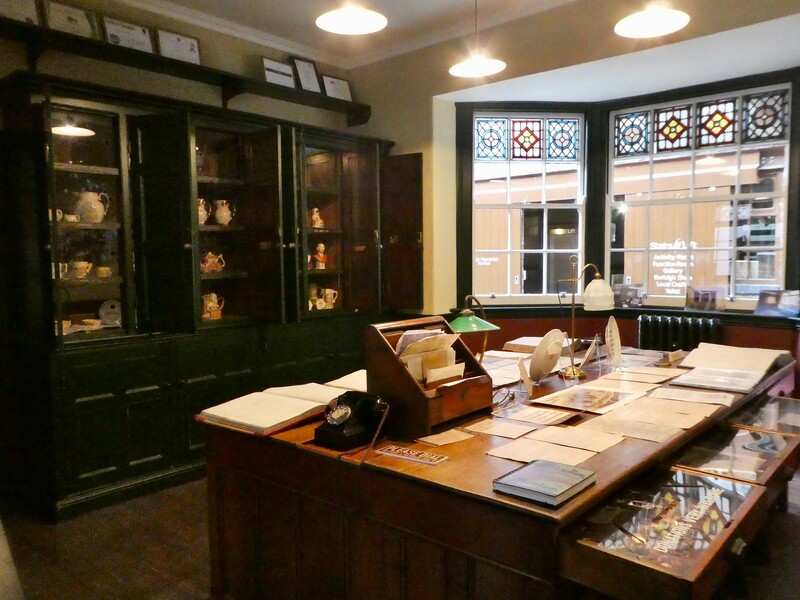 Our tour began at the Lodge from where we explored the Victorian offices laid out just as they would have been 100 years ago, giving us a feeling of having walked back in time. We learnt all about Middleport Pottery’s history and how the founders surnames of Burgess and Leigh were combined to form the brand name Burleigh in 1851. Early production was of utility, toilet wares and dinner ware but later more complex ranges of tableware with intricate patterns were introduced for which the company is most famous. 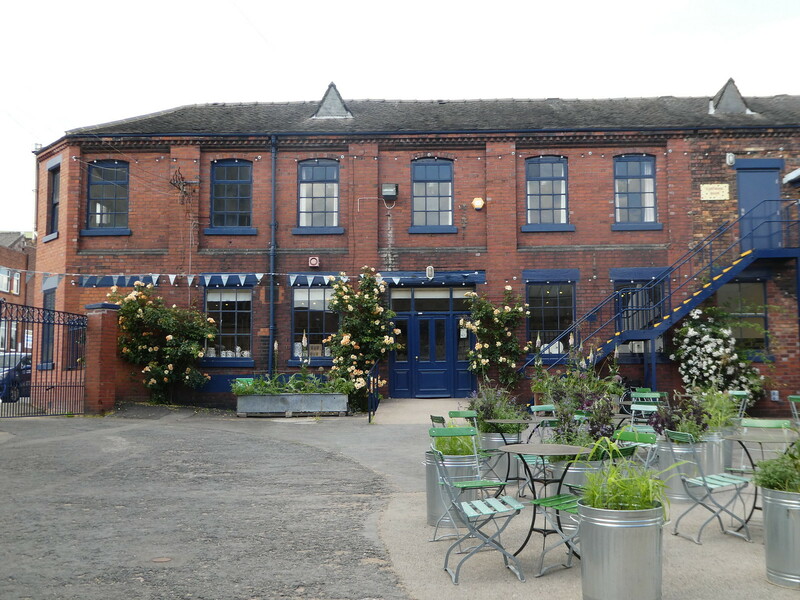 Needing to expand, the company moved to its present location beside the Trent & Mersey canal in 1888. We explored each stage of production demonstrating how a lump of clay is transformed into a piece of pottery. 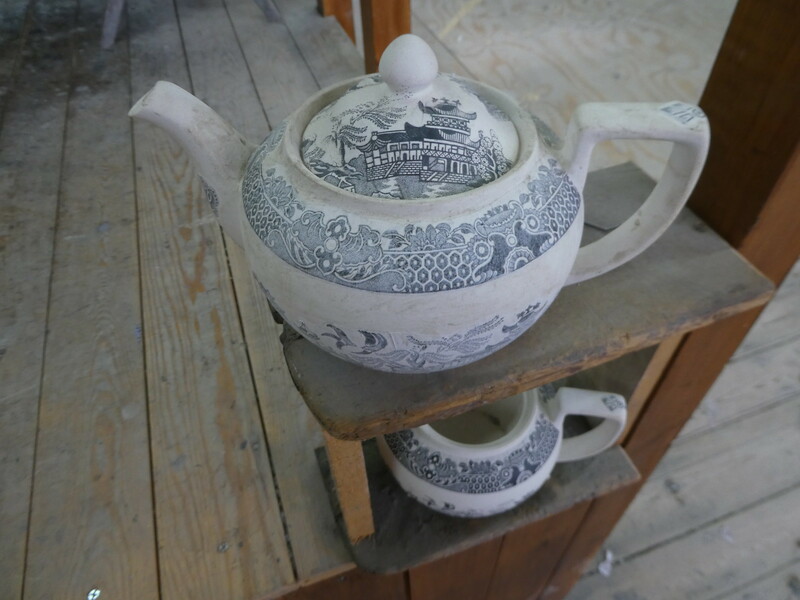 Crockery is still hand made in the traditional methods unchanged since the 1880’s. Some of the factory workers we spoke to have spent their entire working lives there with the pottery employing generations of the same families. In the mould store we viewed an amazing collection of ceramic moulds used to re-create pottery designs. 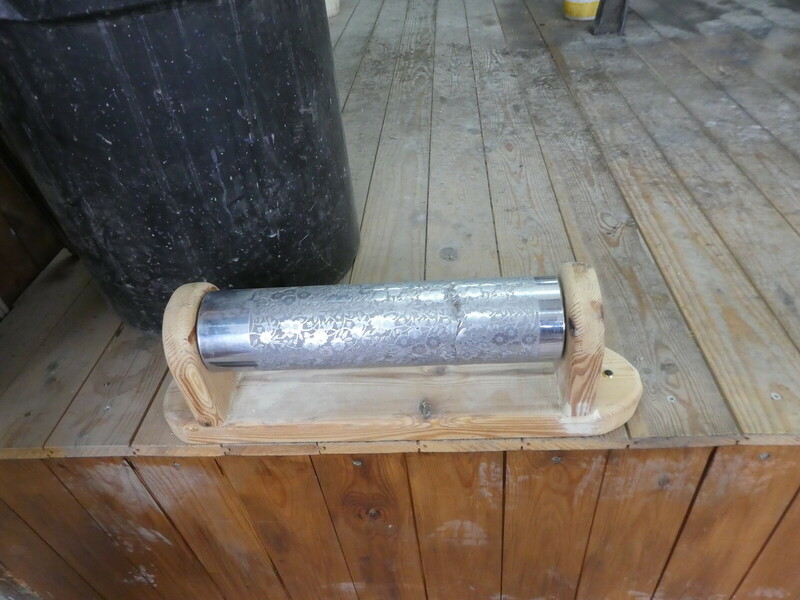 While in the slip house we observed how slip (liquid clay) is poured into a plaster cast. 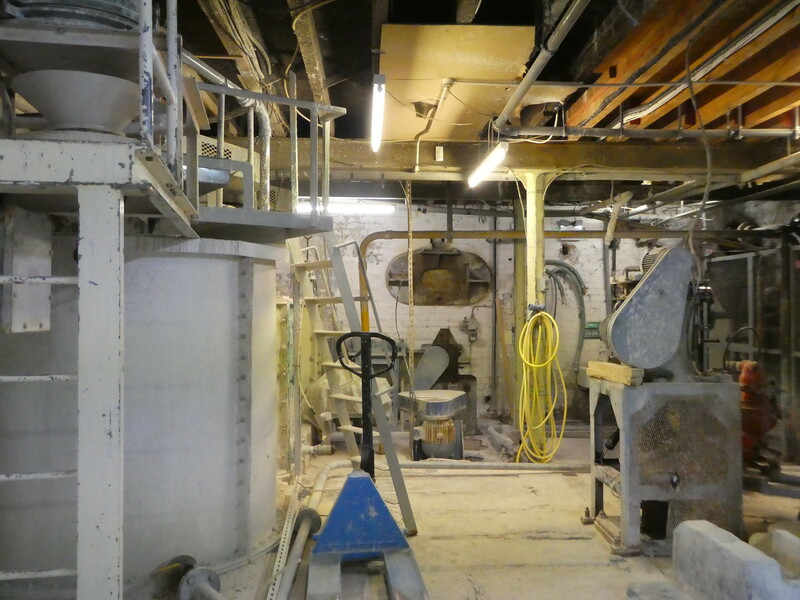 The water is then drawn out into the walls of the mould leaving an inside layer of solid clay which hardens quickly and prevents shrinkage during firing. It was very interesting being able to observe the delicate underglaze tissue transfer technique for which Burleigh is famous. We were shown a copper plate which is carefully engraved with intricate patterns and then fitted to a printing machine. The inside of the roller is then heated and oil based ink passes through to print the pattern onto the tissue. The lengths of tissue are then hung on a line to dry after which a printed piece of tissue is selected and cut out to fit the shape of the object which were teapots at the time of our visit. The transfers are then applied to clay that has been fired once and this is then rubbed with a stiff brush to push the ink into the clay. The tissue paper is then washed off with the pattern remaining, ready for its final firing ensuring that the pattern is hardened on. 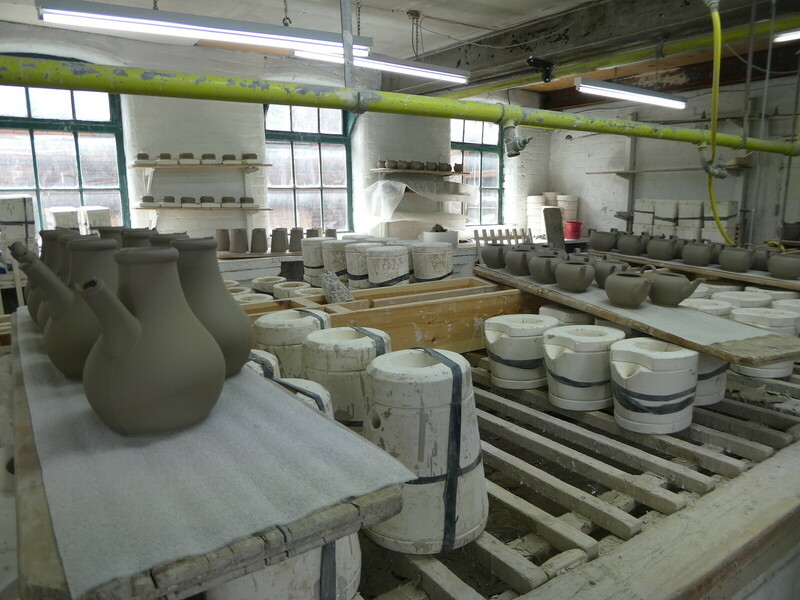 Burleigh is the only pottery in the world to continue to use this process which was developed in the 18th century. After completing our fascinating tour of the factory we popped into the attractive canal side cafe for a coffee, served of course on the famous Burleigh tableware. 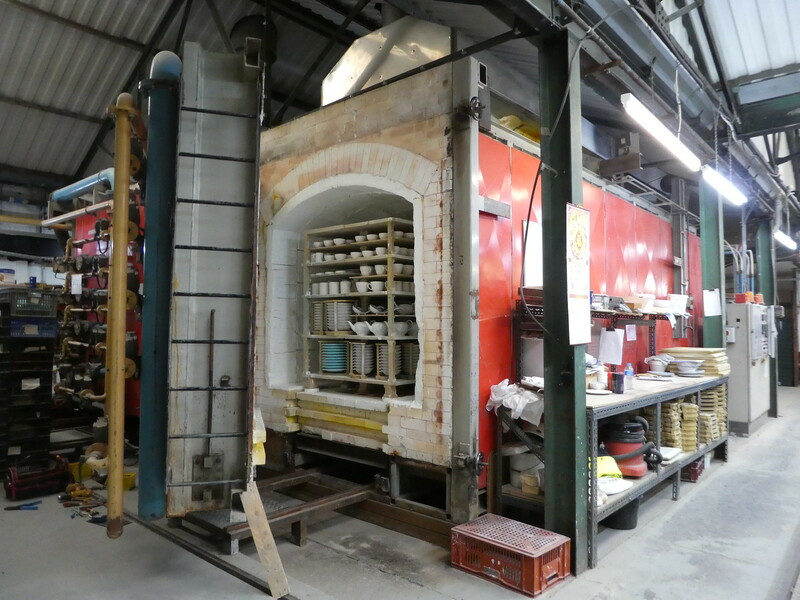 There was still more to see on the site so before leaving we inspected the Victorian bottle kiln, original worker’s bath house and the factory’s fully restored 1888 William Boulton steam engine. If you are interested in visiting Middleport, you might like to plan your visit to coincide whilst the Weeping Window ceramic poppy sculptures are on display. As part of the final year of the 14-18 NOW’s U.K. arts programme wide tour, the iconic poppies commemorating the First World War centenary will be draped over the Middleport bottle kiln. 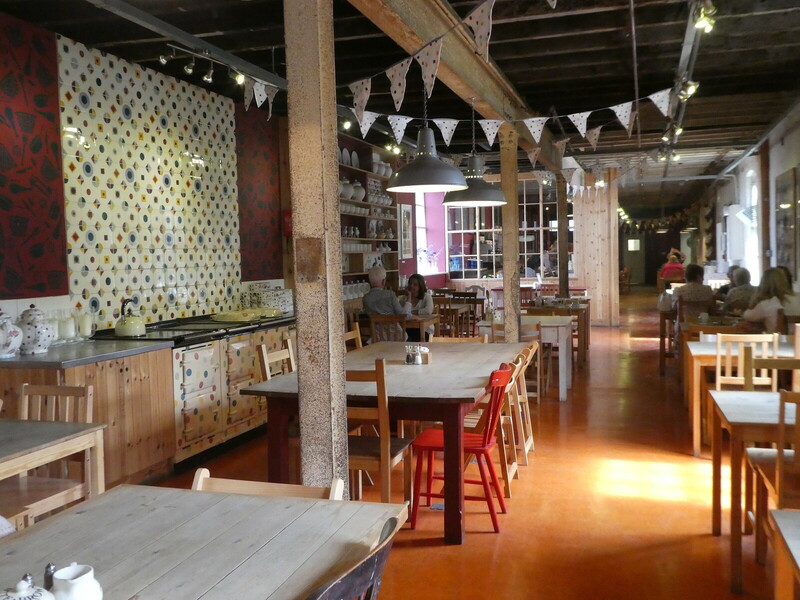 Leaving Middleport, we just had time to fit in one more venue on the Ceramics Trail and that was the Emma Bridgewater factory in nearby Hanley. 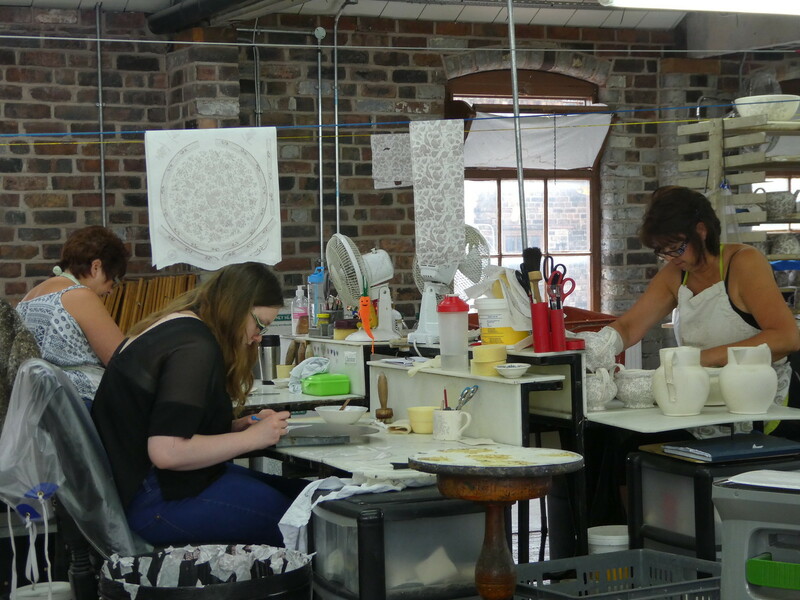 Unlike Middleport Pottery, Emma Bridgewater is a relatively young company creating their first pieces in 1985 and moving production to their current site in 1996. The traditional Victorian factory lies alongside the Caldon canal, employing 185 people and producing 1.3 million pieces a year. 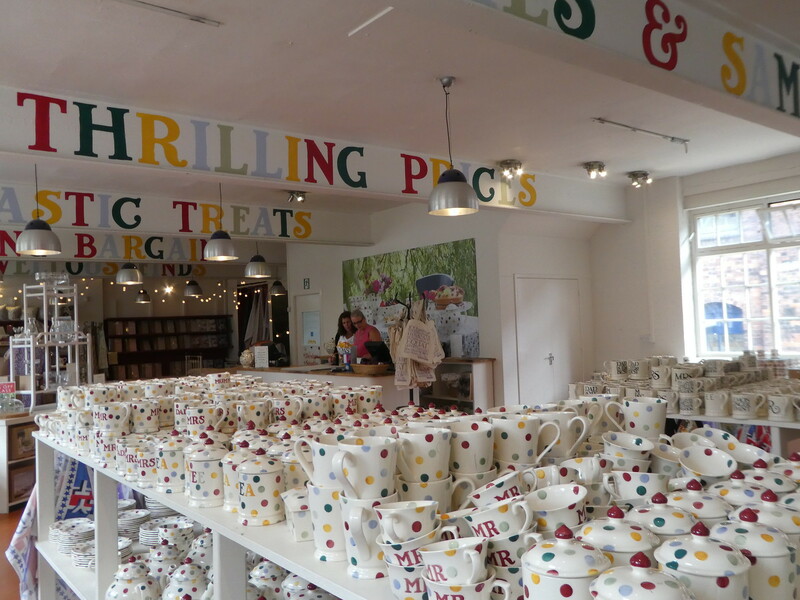 Unfortunately we didn’t have time to take a factory tour but we enjoyed walking around the site and looking in the factory shop filled with polka dot mugs for which the company is most famous. There was a cosy cafe which even had a polka dot Aga stove and outside a cottage garden where hens roamed freely. It was such a lovely place to end our three day visit to The Potteries. What an action packed, fun time we had visiting potteries, museums, a monkey forest and gardens. Stoke has no end of excellent attractions, so many in fact that we would like to return to visit others that we didn’t have time for on this trip including the Spode heritage centre. I would like to thank Visit Stoke and the attractions we visited for helping to make this short break possible but as always, all opinions are my own. Thank you for your kind words. We had a splendid short break in Stoke and also found the locals to be very friendly. It was a surprise for me too Jason, we had a great time. Never realised until we past a sign for Port Vale football club that it was in Stoke, did you know that Stoke had two teams? I didn’t realise Port Vale were in Stoke, I did know they were Stoke City’s main rivals though so that makes a little more sense. Reblogged this on Tourism Observer. Tremendously interesting. Those potteries are also well known amongst collectors here in the U.S., of course, and I’m pleased to have had you show us some. I wasn’t aware that the industry was continuing at such a pace that newer enterprises like Bridgewater are still opening up. It’s gratifying to see the generations of expertise still being employed. At one time, there was an extremely large pottery industry in the eastern portion of my Midwestern state, but it’s almost entirely extinct, the skills quickly dissipated and probably now unrecoverable, even if someone were to consider restarting. Thanks. Reblogged this on Spotlight on Stoke. Beautiful pottery! Thanks for the tour! Thank you, I really enjoyed our tours of the Stoke area. We had a lovely three days visiting several Potteries and two gardens. It was our first visit to Stoke, I’m usually driving past it on the M6 but plan to return. We visited Trentham Gardens on our first day so if you are interested to read about it you can find it there. The weather was beautiful! How lovely that you are interesting in blogging. I’ve taken a look at your blog it’s really nice. Keep up the good work! Very interesting to learn of the pottery process. I always enjoy the behind the scenes look on factory tours. Thanks for sharing. Thank you for your kind words, ai also enjoy taking factory tours. Such beautiful results! And I love the photo of the bottle oven! Thank you. The bottle ovens are so nice and it’s great that several f them have remained intact. I love seeing behind the scenes of craftsmakers! Great post! Thanks Dani. Taking the factory tours was really interesting. What a beautiful day! Love the pottery! Thank you for bringing me with you via this post! It was such an interesting trip Ella, thank you for taking the time to contact me, it’s so nice to read your kind words. 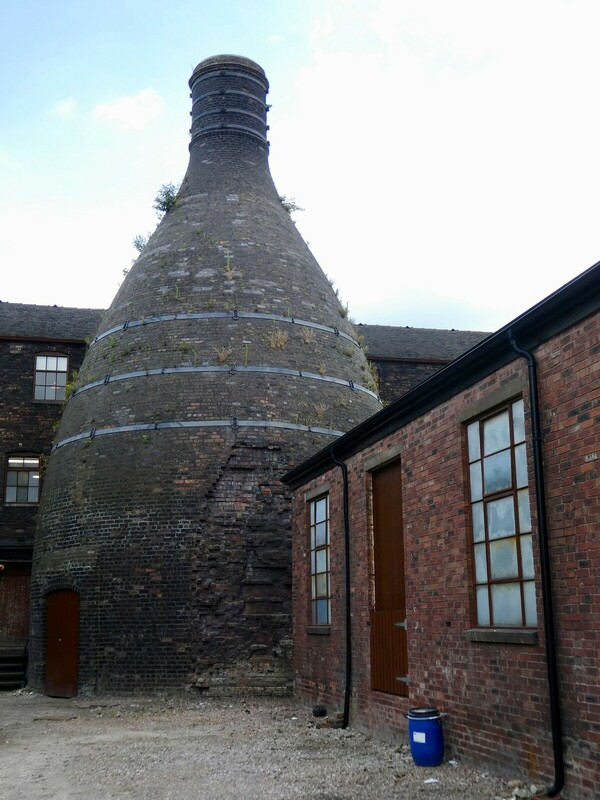 I’m loving your posts on the potteries. As an American who collects different types of English ceramics, I appreciate the detailed information on your blog! I hope to visit these sites in the not-too-distant future. Do you know anything about the factories where creamware was produced? I understand the reproduction 18th and 19th century English creamware I have was made from original moulds. Thanks for your informative blog. I believe that some of the original creamware was produced at Wedgwood before it went out of favour but Other than that I’m not sure. Thanks Sandra for taking such an interest in this series of posts. Our overseas visitors are out for a quick walk so I took a peep at your page. Those are classic designs coming out of that place that find their way all around the world. Another place I would love to have visited. Thanks for taking me along for the ride. I’m glad you enjoyed taking a look at the industrial heritage of the Potteries Ian. Thanks for taking the time to comment. Thank you, it’s good to read that you enjoyed my short break in the Potteries.